Cathryn Blankenship has no desire for a season in London! Why on earth would her father want her to leave her home in Charles Town? 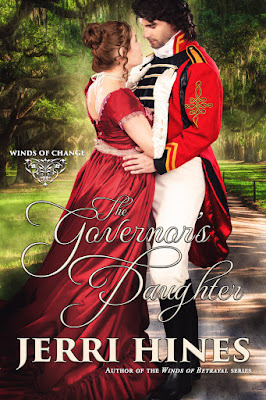 Upon Cathryn’s steadfast refusal, Governor Blankenship is forced to assign a young lieutenant to watch over Cathryn on the journey and ensure his daughter’s appearance in London. Cathryn finds Lieutenant Jake Pennington the most aggravating, maddening man she has ever met...a man Cathryn soon admits she is in no hurry to see leave. Author's Note: This book was previously published with Whiskey Creek Press as The Judas Kiss and The Promise under the Tides of Charleston Series. A chill was in the air. Pulling her shawl tighter around her, she stood in the night’s breeze and inhaled deeply. Tacy hadn’t said a word. There was no need. Cathryn realized Tacy feared she was asking for trouble. She was. She had to see him. Above her, a quarter moon sat in the cloudless sky and reflected off the still ocean water. Cathryn stared upward hoping…praying Jake would appear. Then he was there. “I’m glad to have found you here,” he said, walking up beside her. She turned abruptly right into him. His hand went around her waist. Instinctively, she looked up into his eyes. Mesmerized, she couldn’t breathe as he reached over and caressed her face. She melted with his touch…his look. In an endless moment in time, she couldn’t take her eyes off of his. She thought he was going to kiss her, but the moment passed. He released his grip. Her heart sank. Feeling dejected, she turned from him. She whipped back around. Her eyes blazing, she challenged him, “That is why you came tonight? You have come to say goodbye to me. Do not lie. I can see it in your eyes. She wanted to scream at him that she had never felt what she did when she was around him. Why did this have to change? He had told her he was only a simple lieutenant. She didn’t care. Oh, Heavens! She had fallen hopelessly in love with him. She didn’t have a chance for another word. He cupped her face in his hands and his lips came down upon hers, softly at first, then harder. Trembling in his arms, her lips pulsed against his with her own desire. Somewhere in the madness, the reason for meeting this night escaped her mind. Only being with him…in his arms with his lips upon hers mattered. He kissed her again and again, ravishing her mouth. Gasps of pleasure escaped her. Her body was shocked at the depth of emotion he provoked within her. She was lost in his essence. She took his hand and kissed it, terrified of losing him…losing what they had before it had a chance to begin. He stood in silence for a moment. His gaze fixed upon hers reflecting a longing that both suffered. He took her one last time in his arms and kissed her. Breaking from her, he caressed her face one last time, turned and walked away. 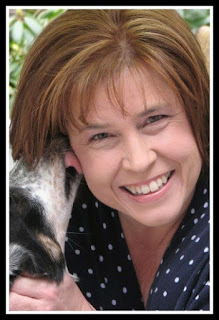 Jerri Hines is an Amazon bestselling author of the Winds of the Betrayal series and Southern Legacy serial that were inspired by her fascination with history. She is a Southern gal who has lived the last thirty years near Boston with her Yankee husband. She believes in love and the power it holds. It is the reason she writes romances. Her next release under Jerri Hines will be the much anticipated conclusion to Winds of Betrayal, Set Fire To the Rain, coming in 2016. She is also an Amazon Bestselling author under her penname, Colleen Connally. Her historical romance series, Secret Lives, is riddled with romantic suspense and a touch of paranormal. Fragmented, Book One Boston's Crimes of Passion, marks her first contemporary suspense thriller. Framed, Book Two, will be released in 2016. She is a supporter of The Home For Little Wanderers in Boston and the Alzheimer's Association.